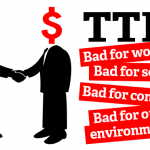 Last year I wrote about the dangers to health and safety from the Transatlantic Trade and Investment Partnership (TTIP) where the European Commission and US Government want to reduce “barriers” to trade – also known as our rights to safe and decent work. According to the European TUC the agreement could have “enormous implications” for workers regarding employment policy, social security, environmental protection, occupational health and safety protection and the protection of minority rights. The two main points of concern on health and safety are the reduction in standards and the possible include provisions to allow companies to sue governments in secretive courts. 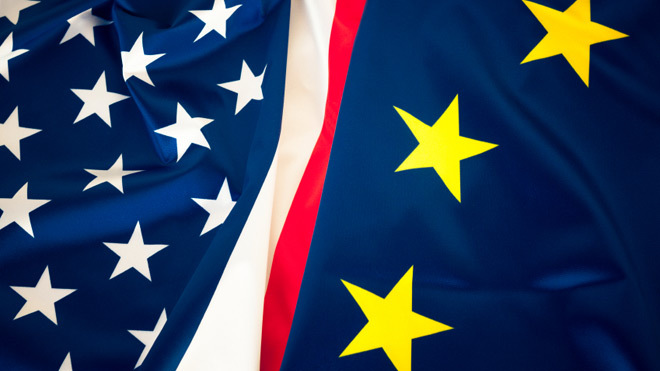 TTIP could result in the harmonisation of many health and safety regulations, including Chemicals, or introduce a system of mutual recognition which would have the effect of harmonising standards down to the lowest common denominator. Given that the EU has, on average, one third of the workplace fatality rate of the USA this could be devastating. In part our better safety rate is because of the stronger regulatory framework, and we need to protect, and extend that. 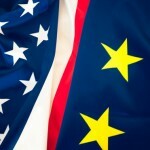 TTIP may also introduce investor-state dispute settlement (ISDS) rules have allow corporations to sue governments in cases where they feel they have not had “fair and equitable” treatment, including health and safety standards. Previous US treaties have enabled companies to sue Uruguay for introducing anti-tobacco laws and Egypt for raising the minimum wage. Well, the agreement is now moving forward quickly. Tomorrow, the European Parliament’s International Trade Committee (known as INTA) will vote on a series of amendments to a draft report on TTIP. The TUC and other trade unions around Europe are backing amendments that would reject a Investor-State Dispute Settlement, strengthen workers’ rights, and stop TTIP being used to reduce standards. The report which INTA produces will then go to the plenary session of the European Parliament starting on 8 June, just the week after next. That means that we need trade unionists to tell MEPs across Britain to vote for a report that puts the people of Europe before the interests of the multinationals. It is not too late to contact your MEP, whatever party they are from. You can do it here. One Response to The trade agreement that threatens our safety.